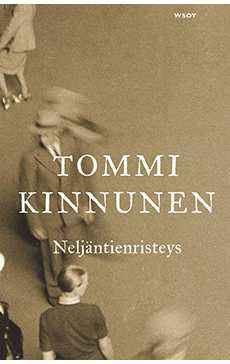 A convincing, emotionally stirring debut about reconstruction era Finland, little people, big buildings, and double lives. The young midwife Maria arouses suspicion among her fellow villagers. An independent spirit, she handles difficult births with aplomb and finally gains the respect she desires, but doesn’t realize she has become captive to yearning. Her daughter Lahja, who was born out of wedlock, wants to incorporate into her own life everything her mother rejected as dead weight. A refugee returning to the warscorched north, she craves contact in her marriage, while her war hero husband Onni trawls the cities, seeking moments of forbidden, short-lived bliss. Decades later, Kaarina decorates the house that has been emptied of her father-in-law’s dreams, eager to tear down what others have erected into silence. Where Four Roads Meet is a finely observed portrayal of people who build dreams to forbidden heights. Where Four Roads Meet has been topping the charts in Finland and sold over 80 000 units to date (all formats). Two theatrical adaptations of Where Four Roads Meet premiered in Finland in 2016 with high praise in the media. Where Four Roads Meet was adapted for opera in the Oulu City Theater in January 2017. The operatic adaptation celebrates the Centenary of Finland’s independence in the same year.